Tooting - 'coolest' neighbourhood in London? We had never ventured that far down the Northern line, even after living in London for a few years now. And that’s one of the best things about London: there’s always something left unexplored, something somewhere to see and we sure feel grateful to be in this position. If you ever consider moving to The Big Smoke, prepare to never be bored. Spoiler verdict – yes it’s cool, but no, sorry, it’s not the coolest neighbourhood in London. In fact, there’s no such thing. Ask anyone who lives here, they will most likely give a shout out to their own area (East is best, in case you’re wondering). There’s not much for sightseeing, like in any other zone 3 high street, but Tooting is definitely a great place for a weekend hang. What makes it special though are the local businesses that bring in the charm and the goods. 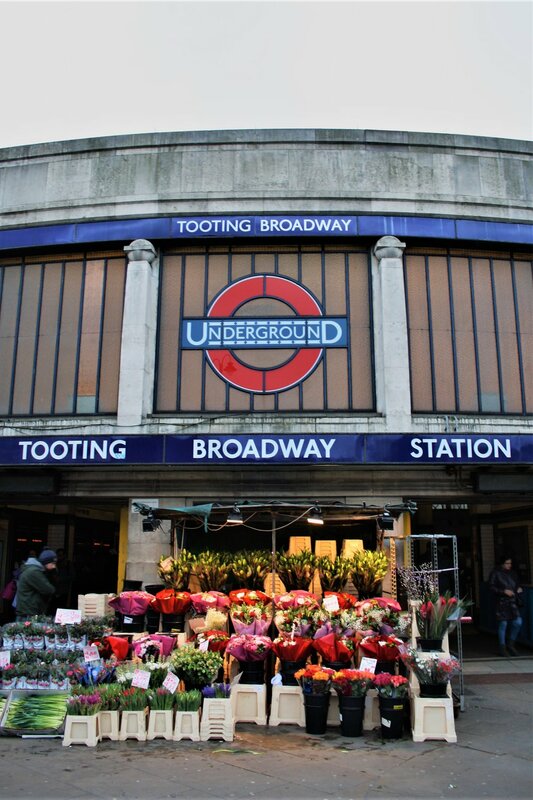 There are 2 main markets which you should visit – Broadway Market and Tooting Market. Broadway Market caters more for the locals. 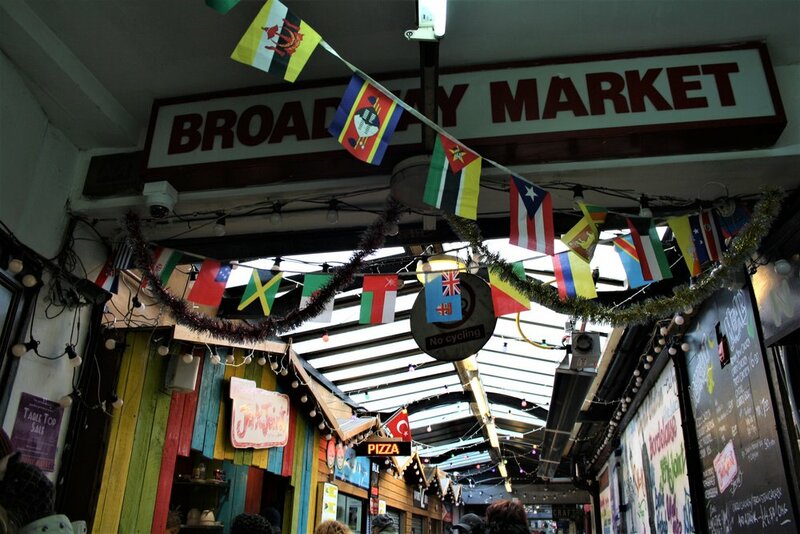 There are veg and meat market stalls, clothing outlets, hair and nail salons as well as some cafes that reflect the diversity of the locale –from full English breakfast, French crepes, Caribbean chicken and stew, tacos, tapas to Turkish pides. We, however, parked ourselves at Craft Tooting. Tiny place but chock-full with an amazing selection of beers of all kinds and very nice and helpful staff. We also went by the lovely Pedal Back café where you can roll in for bike maintenance and repair, as well as sample some great cakes, coffee & beer. In the neighbouring Tooting Market, which has recently gone through a revival, you can see the odd chain restaurant alongside more local joints, such as the mini bar that is Graveney Gin, which offers locally distilled gin, only using organic ingredients. Their all-gin based cocktail menu is excellent. If you are more of a wine person, you will be spoilt for choice at Unwined in Tooting. Then off we went to The Castle, allegedly the oldest operating pub in Tooting, and it’s really just alright. We were hungry and ended up in the seated ‘restaurant’ area which is a bit too deceivingly try-hard fancy to our taste and doesn’t match the food. We kinda prefer pubs that call fish & chips what it is: a fish and a side of chips. It was busy and clearly understaffed and the food is regular greasy pub food - not that there’s anything wrong with that. The highlight on our little hangout/tour was definitely Tram & Social. We were the first on site, around 5pm, and by the time we left the place was fully packed. This is a former tram shed, which makes for a pretty cool looking drinking establishment. The prices are decent, music and vibe is great and we were quite reluctant to leave, but after all, gin and beer tasting all day can be quite exhausting. Bottom line – Tooting is a bit gritty but thoroughly charming. It has character and multiculturality much like a lot of neighbourhoods in this city and we would love to see it be kept that way: affordable, diverse and thriving. Is it worth your time? Well, if you are venturing out in south London zone 3, or looking for a good day out, yes. It has two great markets and all the gin and food your heart could desire. But please, do your own research, and keep your expectations low. Don’t just go out of your way following suggestions from travel guide publishers, which often may get muddled with exaggerations in their pursuit of the next cool thing. People who visit London for the first time might be puzzled if they find themselves in Tooting looking for a “top 10 world neighbourhood”. Not even going to lie, we felt a bit silly arriving with our cameras and expectations but it turned out to be an amazing Saturday night out. It is the people you meet in the market and local businesses that have carved their way to stand out that make the place what it is. If you’re into that you should go, explore and support them.